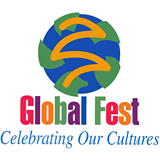 River City Fencing will be at Global Fest again this year. The events start at 10am and end at 9pm. Check out River City on the second floor of the Morton Community Center. You can learn how to fence if you’ve never fenced before, or pick up a bout with other fencers. Bring the entire family–appropriate for all ages!